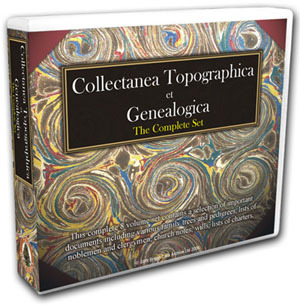 Published quarterly beginning in 1834, the Collectanea Topographica et Genealogica contains a wide selection of important documents and information. Each CD contains the fully searchable and bookmarked PDF files of the original text - which, at around 400 pages per volume, is substantial. 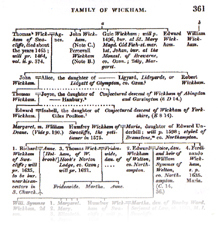 Right: Collectanea Topographica contains hundreds of indexed names and places including the Wickhams.